Installed Dimensions: H: 102″ W: 57″ D: 56″ Weight: 1880lbs. 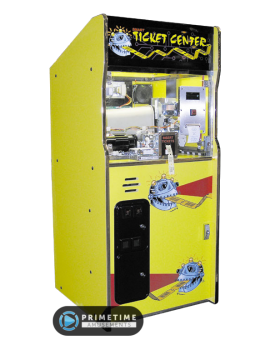 Only you can help “Dean-O” The Space Monkey as he seeks to refuel his spaceship with important ‘Fuel Ballz’ in the outstanding ticket redemption game Spaceballz by Jennison Entertainment Technologies. Despite the giant cabinet, gameplay is simple. After inserting the proper credits, a Space Ball/Fuel Ball will be loaded into the crane mechanism and will begin moving. The object is for the player to time the release the ball in order to try and win the Space Ballz Bonus, or more tickets. 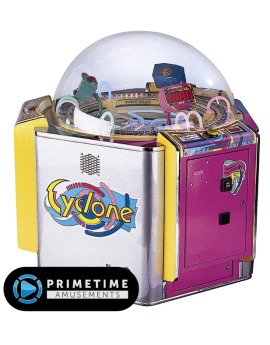 The player releases the ball by pushing the large plasma button on the control panel. 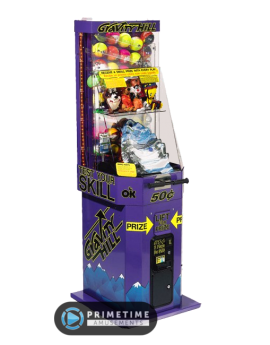 If a player successfully gets the ball into the Bonus Hole, they will win more balls and allot more tickets! 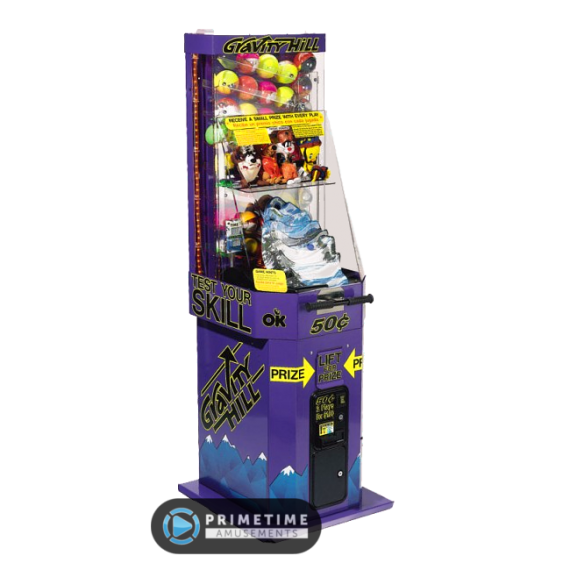 Space Ballz was designed with an impressive cabinet that is sure to attract attention. 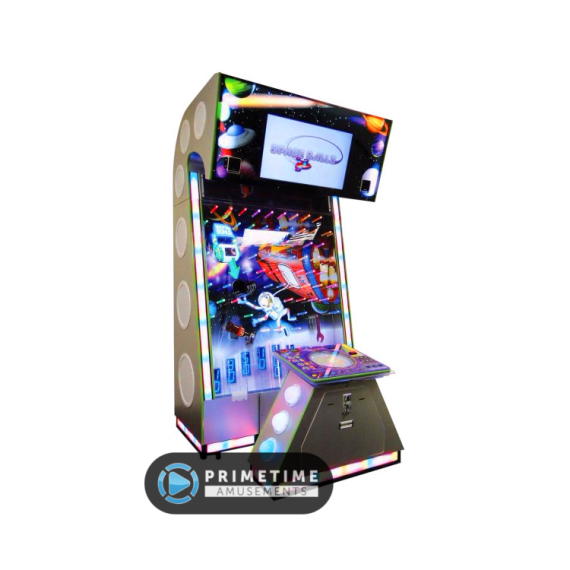 Designed to be a cross section of a space ship where the player is standing at a control center looking out into space, it wields a commanding presence in any venue.There are over 3000 multi-color LEDs used in the cabinet, creating a fantastic light-show. 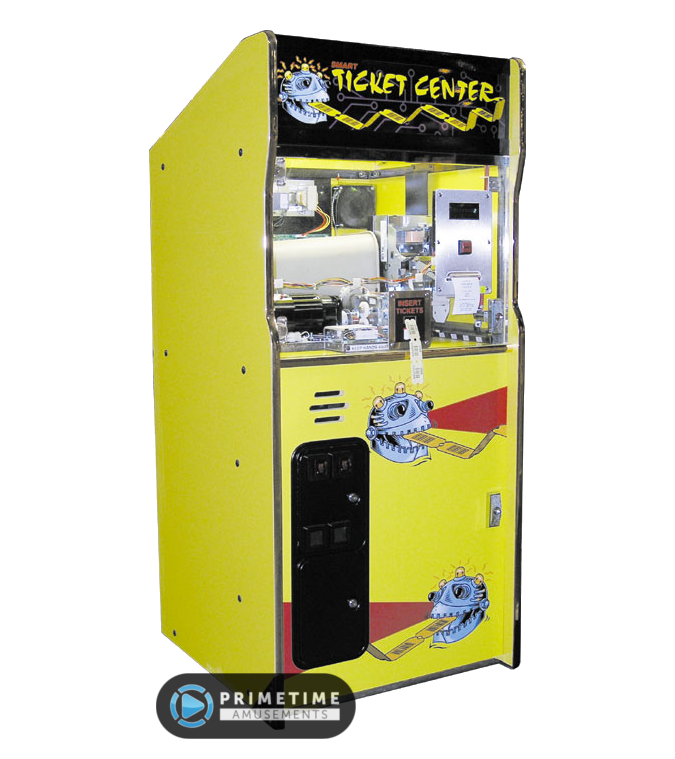 The game also features a 32” LCD monitor that displays all pertinent game information for the player and a powerful 300 Watt surround sound system. REFURBISHED STOCK: 1/24/18! 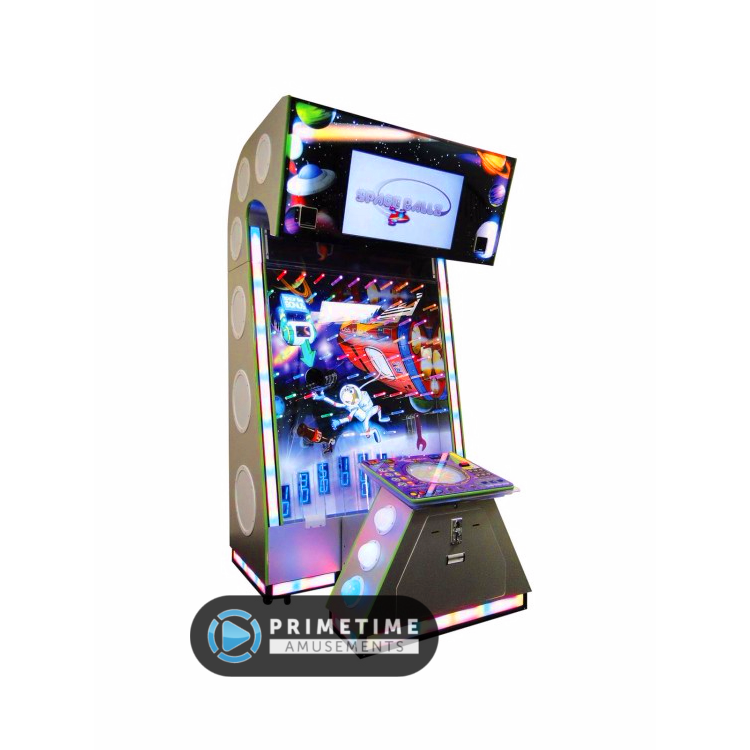 – A Spaceballz unit is currently available from a PrimeTime operated location in Florida. Each will go through our Certified Pre-Owned refurbishing program before shipping to you. 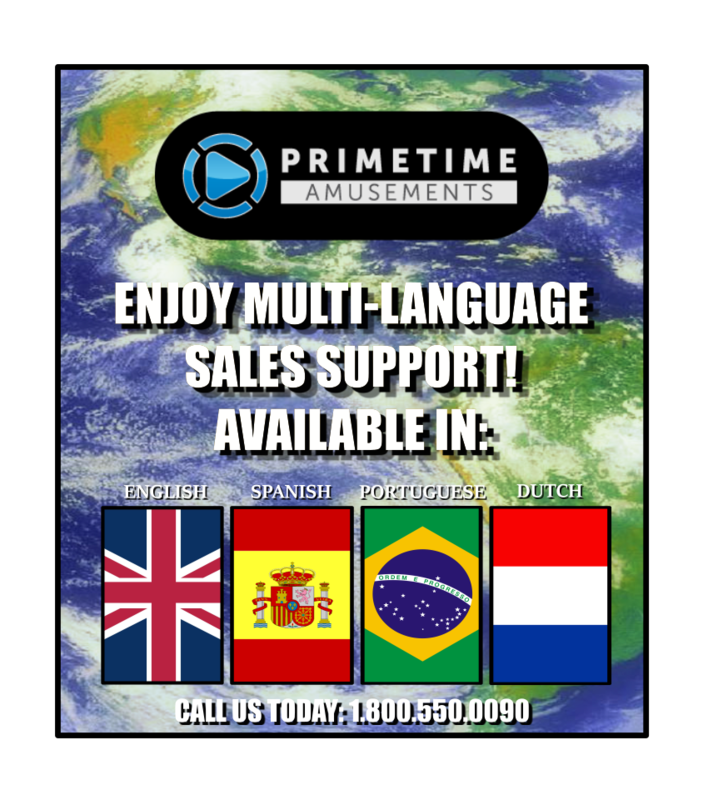 Please call for pricing and lead time. – CALL ABOUT AVAILABILITY. 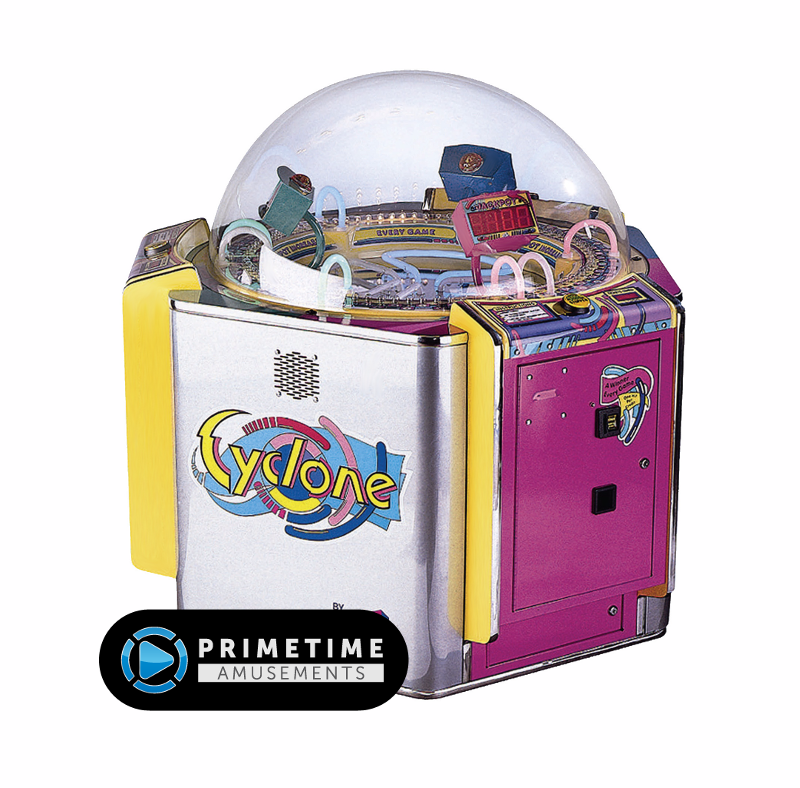 This game was initially launched in 2012 and as such availability is limited. Give us a call to see if new or used units are available and we would be happy to assist you! Want to see Spaceballz in person? 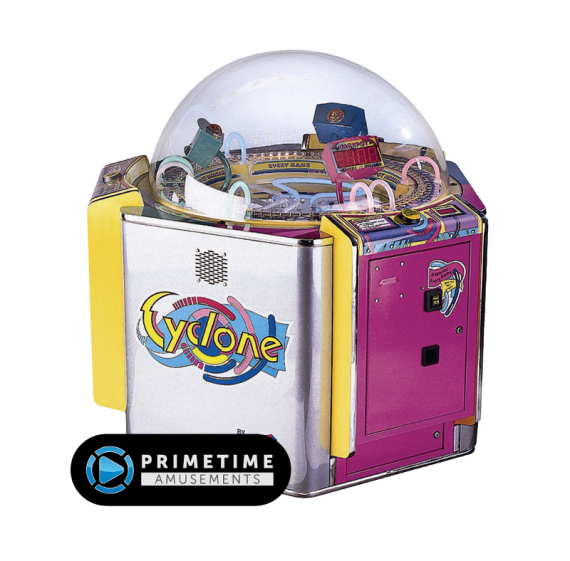 You can find it at the PrimeTime Arcade inside the X-Treme Action Park in Ft. Lauderdale, FL!